The game has changed. adidas has identified that there are only two types of player – those that cause chaos and those that control the game. There is only one exception. One exceptional player. The player that can’t be defined because he transcends the game. The greatest player of all time: Leo Messi. Ahead of this weekend’s UEFA Champions League Final in Berlin, adidas has delivered a unique pair of boots that serve Leo Messi’s unique talents. With unmatched skill and uncontrollable ability, he needs the ultimate weapon on his feet. That’s why adidas has created a silo designed solely with one player in mind. Revolutionary boots for the greatest of all time. The adidas MESSI15 has been designed with Leo Messi himself to maximise his unmatched talent. A selection of totally new product innovations makes this the perfect weapon for the Argentinian. The new messiTOUCH material which makes up the upper has an x-ray surface for lethal grip, stability and foot-fitting comfort. The unique new messiFRAME provides a locked-in fit, stability and maximum traction. The messiPRINT offers new, round forefoot studs, which alongside the messiGAMBETRAX combine to provide a dynamic stud configuration and outsole that delivers explosive movement for the dynamic player. Leo Messi, the best player in the world, will wear the adidas MESSI15 for the first time at the UEFA Champions League Final in Berlin on Saturday 6th June. For further information please visit adidas.com/bethedifference or go to facebook.com/adidasfootball or follow @adidasfootball #BeTheDifference on twitter or instagram to join the conversation. 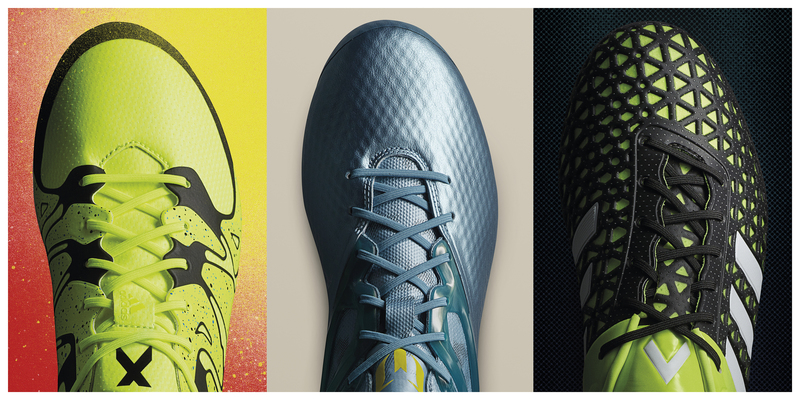 What do you think of the new adidas MESSI15 Champions League Final football boots? Let us know in the comments section below or on our Twitter and Facebook pages.